If you’re accused of DUI in southern California, it’s serious. Get legal counsel and defense representation as quickly as possible and call an experienced Orange County DWI defense attorney. Anyone who thinks that courts are not serious about DUI enforcement hasn’t heard the story of Samuel Silva, who was arrested in Panama after ten years on the run as a DWI fugitive. Back in 1998, Silva drove into the car of Florida Highway Patrol (FHP) trooper Marissa Sanders. The collision shoved Sanders’ vehicle into the car in front of it, and that car’s gas tank exploded. Sanders suffered severe third-degree burns that ended her career with the FHP. At the time of the crash, Silva’s blood alcohol content (BAC) level was measured at twice the legal limit. Silva was convicted of DWI in 2001 and sentenced to nine-and-a-half years in prison. After his appeal and its subsequent denial, a judge ordered Silva to surrender in 2004 to serve his sentence, but he was already gone. He used fraudulent passports to travel to Spain and Mexico before arriving in Panama. U.S. Marshals arrested Silva in Panama in May and returned him to Florida. If you injure another person while driving under the influence in California, you will probably be charged with DWI with Injury, a felony under the California Vehicle Code. Anyone convicted of DUI with Injury faces potential imprisonment, costly fines, suspension of your driver’s license, mandatory alcohol education, and more. Any felony conviction will also limit your future job opportunities and raise your auto insurance premiums (when your license suspension is lifted). Florida spent ten years pursuing a DUI offender around the globe. It reminds one of the old sayings about the long arm of the law seeing to it that crime doesn’t pay. 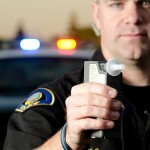 California is just as serious about its own DWI laws, but a good DWI defense lawyer can help. He or she will fight aggressively to protect your rights and bring your DWI case to the best possible resolution. Running never helps. Instead, make the wiser move if you’re charged in southern California with DWI now or in the future – consult an experienced Orange County DUI defense attorney at once.